You are here: Home Authors Booklets What Do I Do When My Child Is Irresponsible? Dr. Sam J. Buser is past-president of the Texas Psychological Association. He is also a member of the American psychological Association's Division 51 (Society for the Psychological Study of Men and Masculinity) and has specialized in treating men for more that 15 years. Dr. Buser is an adjunct faculty member of the Counseling Psychology Program at the University of Houston teaching graduate courses in marital and family therapy. Dr. Buser has appeared on the nationally syndicated Montell Williams Show, and has frequently appeared on local radio and television programs as an expert on a variety of psychological topics. A veteran himself, Dr. Buser previously worked for many years doing family therapy in VA Medical Hospital. He is very familiar with the particular problems and sensibilities of men from all walks of life. 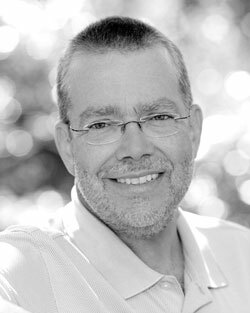 He and coathor Glenn F. Sternes, Ph.D. are highly trained clinicians, licensed psychologists with 20+ years of experience. Both have frequently presented at local, state, and national conferences and have independent practices in Houston, Texas. Also, see his website, www.DrSamjBuser.com, for more information.